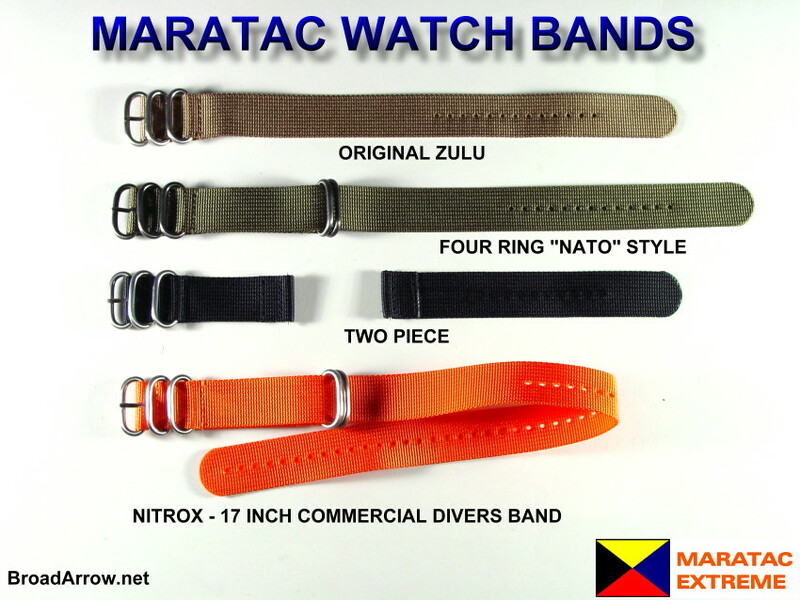 We carry the entire line of Maratac Watchstraps to include the Zulu?, EXTREME, Elite, S-Series, Nitrox, Mil Series, and NATO Line. 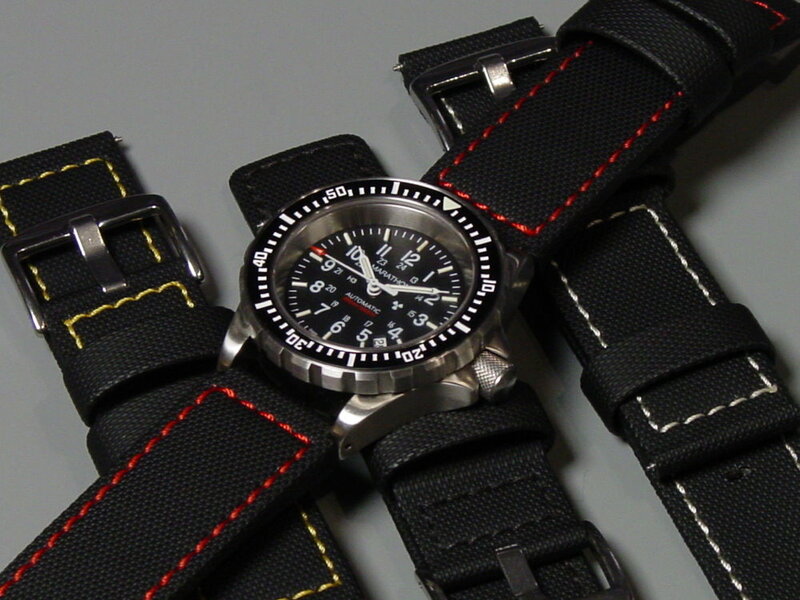 All Maratac straps are made for maximum comfort, durability and good looks. There is no easier way to breath new life into an old watch. Terms: Paypal preferred, credit cards also cheerfully accepted. California residents must pay 8.75% sales tax. International customers We can ship to many international destinations using economical first class airmail in padded envelopes. There is no tracking available for first class parcels, however, it is the best compromise for shipping straps and other small items. Please understand that first class airmail items are sent uninsured. Unfortunately we cannot falsify or undervalue customs forms. Please do not ask us to do so. Please consider this when ordering. 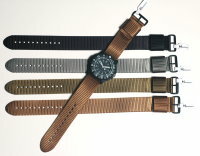 MARATAC Style - click on the thumbnail to see the four different styles of straps. MARATAC Colors - click on the thumbnail to see the color chart. 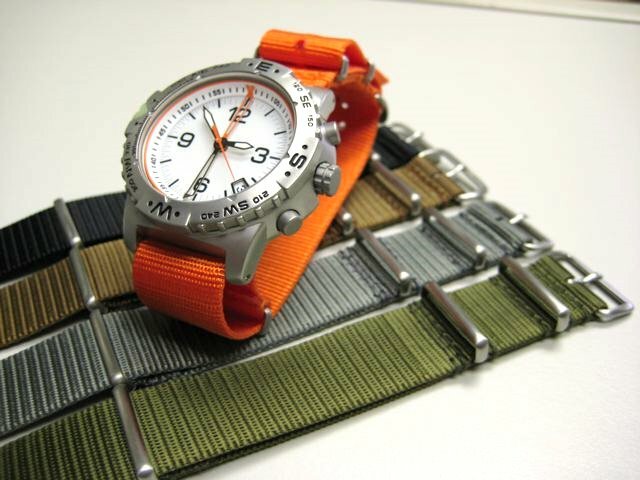 BEFORE PURCHASING, PLEASE UNDERSTAND THAT THE CASIO ADAPTERS DO NOT WORK WITH MIL SERIES NATO STRAPS. 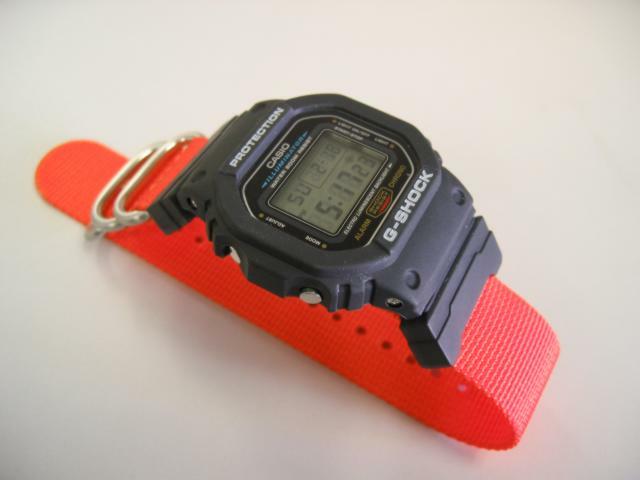 Allows Casio G-Shock watches to be used with 22mm and 24mm Zulu straps. Note: May not work with the 4 Ring Zulu NATO style, depending on your watch. Check fit. 24mm 4 Ring has a wider gap and works with most watch heads. Will NOT work with MIL-SERIES NATO as there is not enough gap to fit the watch head. The CASIO adaptor will not work with two-piece straps. Only one piece straps. These adapters do NOT work well with MIL SERIES NATO STRAPS. 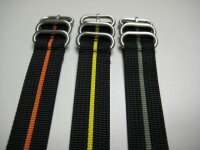 Please READ BEFORE TRYING TO USE THESE ADAPTERS WITH NATO STRAPS. Works with Casio DW5000, DW5200, DW5300, DW5600, DW5300CV, DW6100, DW6200, DW6500, DW6900, G-2500, G-8900, Frogman and many other Casios that feature 16mm lug width. 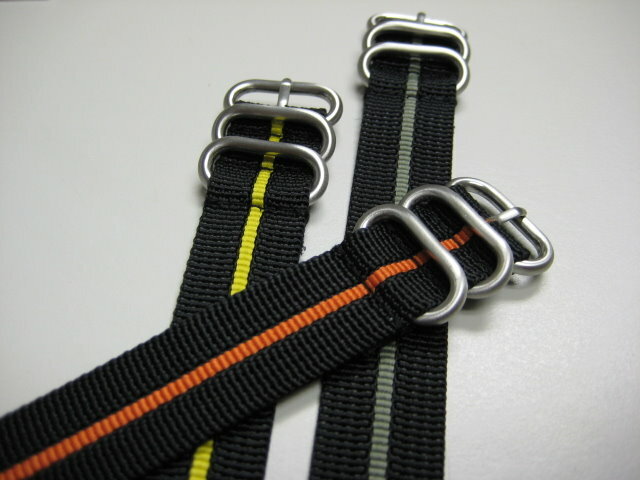 Suggested best fit strap. Original Zulu two ring 24mm. Please NOTE: These adapters do not work well with NATO straps. They work best with one piece original Zulu straps. Will not work with two piece straps. 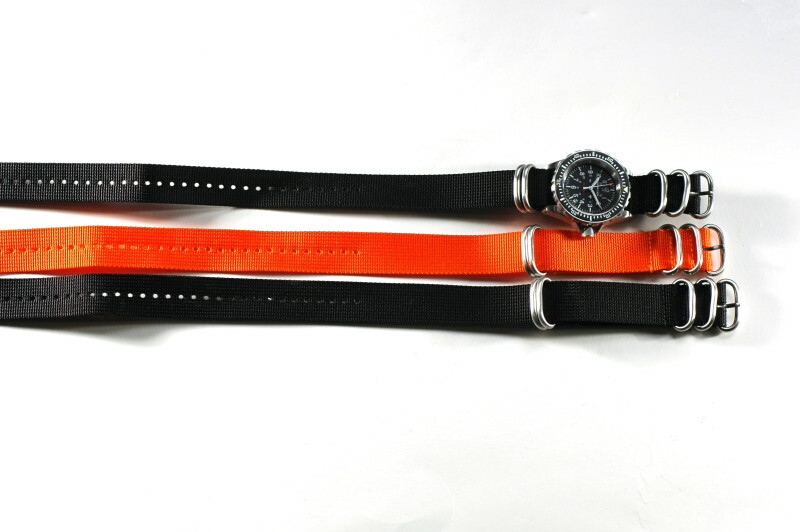 Brand new from Maratac are the Zulu MI-6 Bands. These are the original regimental colors you've seen in the British Secret Agent movies from the '60's. These are about as close as you're going to get to the original pattern, but they've been updated to Maratac standards featuring stainless steel furnishings as well as stitched, and welded seams. 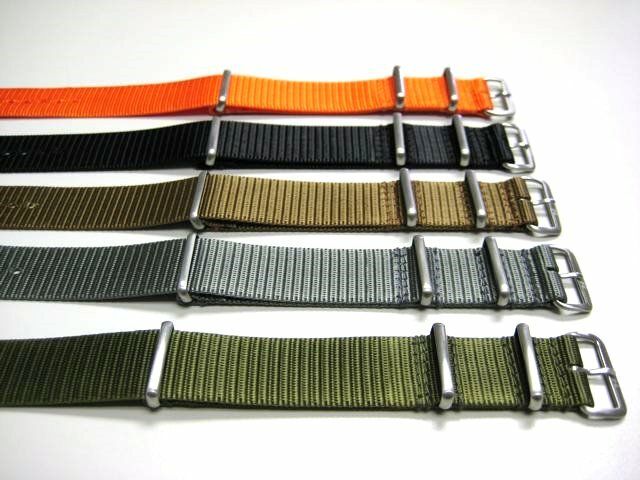 The Zulu MI-6 bands are similar to the NATO style MI-6, but are thicker and much more rugged like the original Zulu straps. The Zulu style are 10 3/4 inches long, with tongue to last hole distance of 9 inches. NOTE: The inner stripes may appear to be gray on some monitors, however, please be advised that they have a greenish hue, just like the original regimental bands. They are available in 18mm, 20mm, 22mm. Also from Maratac are the Mil-Series NATO MI-6 Bands. These are the original regimental colors you've seen in the British Secret Agent movies from the '60's. These are about as close as you're going to get to the original pattern, but they've been updated to Maratac standards featuring stainless steel furnishings as well as stitched, and welded seams. Look great on a vintage Sub or any of your military watches. The NATO style are 11 3/4 inches long. They are available in 20mm, 22mm. 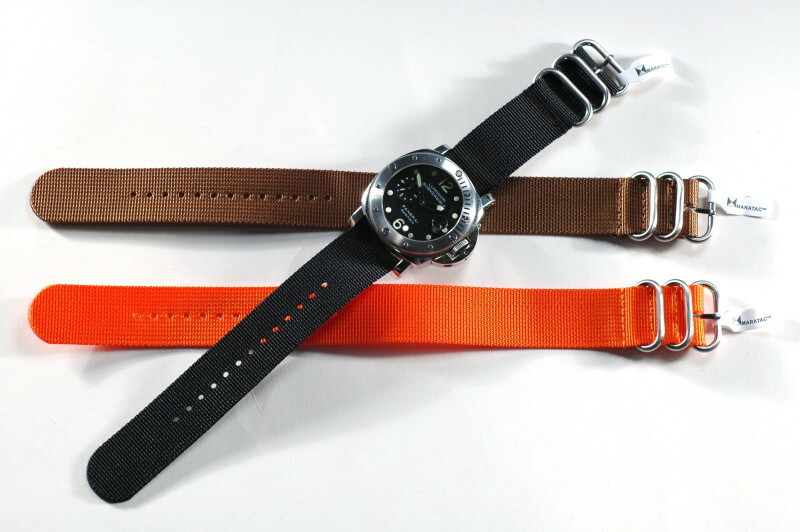 (MI-6 bands are also available in one piece on-NATO) with PVD blackened hardware, and stitched and welded seams. 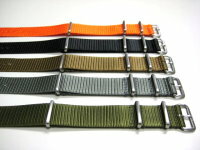 These straps have the same weave and material as the NATO MI-6 in a one piece design. 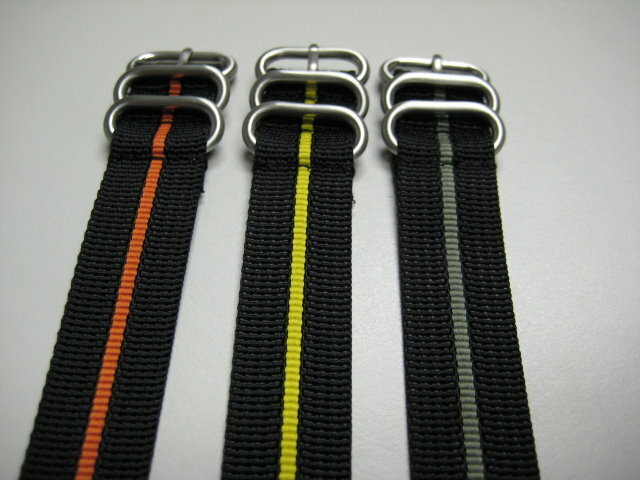 These are the original one piece nylon Zulu strap. Metal furnishings are 316L stainless steel. Available in 20mm, 22mm, and 24mm widths. 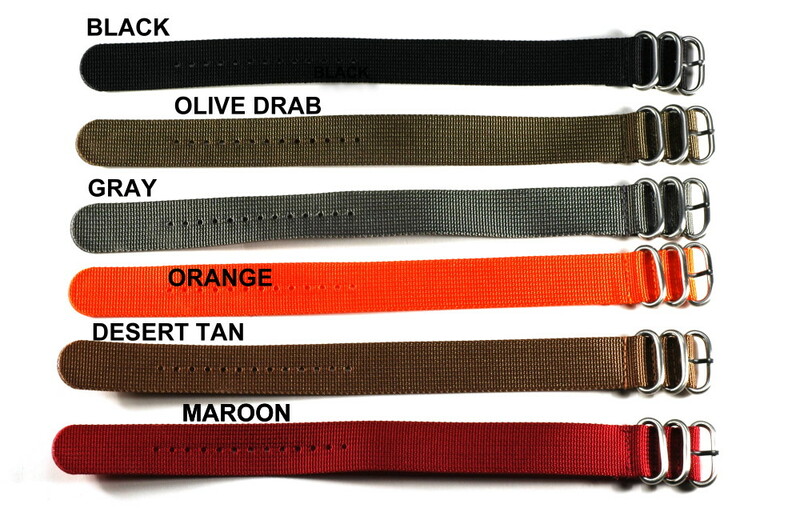 Available colors: Black, Olive Drab, ACU Gray, Desert Sand, Orange, Maroon. Available finish: "low lite" darkened 316L finish, and brushed stainless 316L finish. Four ring Zulu, "NATO" style if you prefer a more secure fit. Metal furnishings are 316L stainless steel. Available in 20mm and 22mm width. 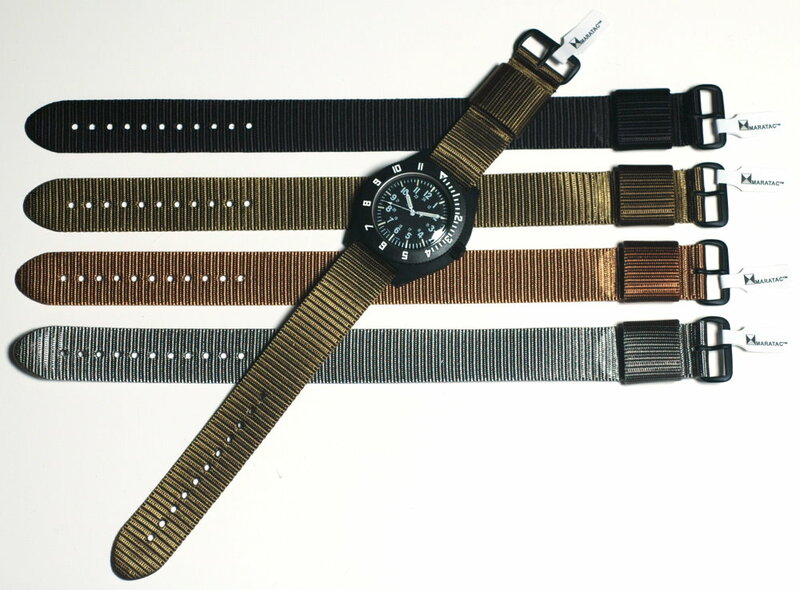 Available colors: Black, Olive Drab, Orange, and ACU Gray (low lite only). Zulu Straps are now available in two-piece for those who like the tactical look, and durability, but prefer a traditional two-piece fit. 18mm, 20mm, 22mm, and 24mm - available in black, ACU gray, desert sand, and orange. Metal furnishings are 316L stainless steel. 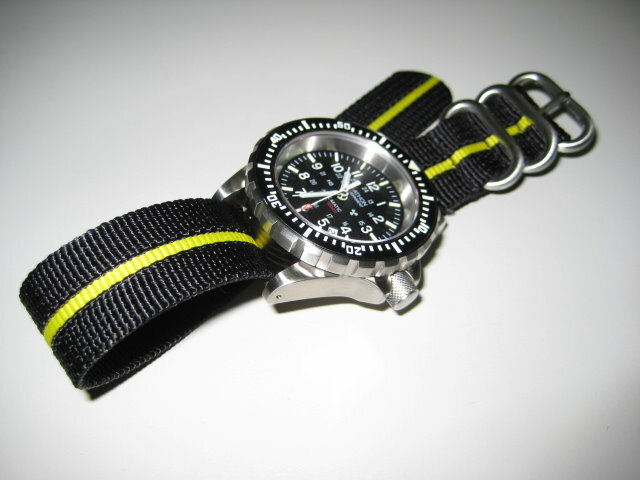 These are a special 17 inch Commercial Diver's Strap which can be worn with all types of dry suits and wet suits. They are a long enough to be used in any professional application and can be cut to desired length. 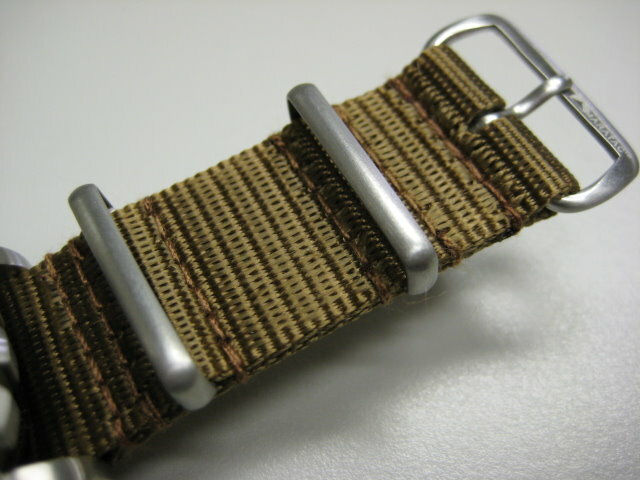 The fittings are four-buckle, "NATO" style. Metal furnishings are 316L stainless steel. 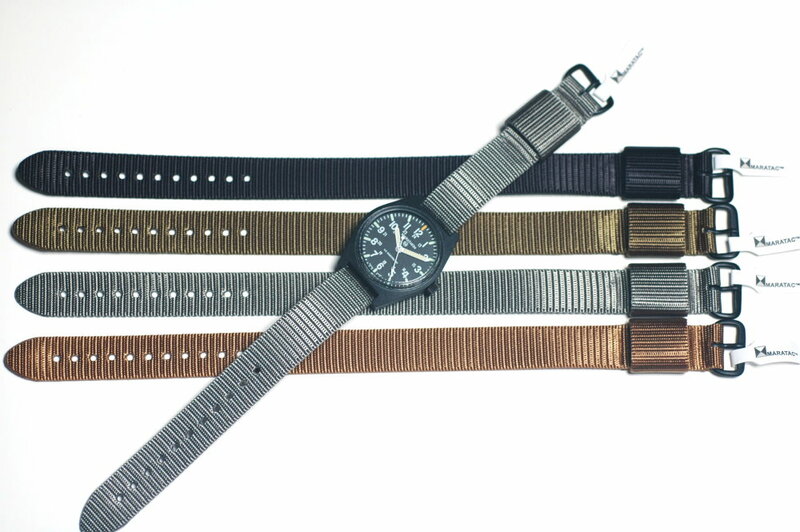 These regular heavy duty 2 ring Maratac Zulu bands have a color accent stripe woven right into the webbing. 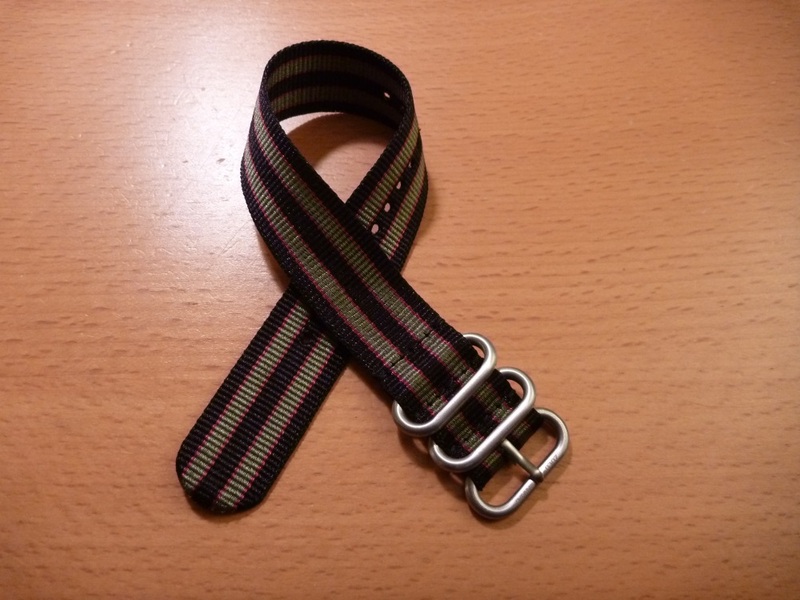 These bands are available in 20mm and 22mm with yellow, orange, ACU gray stripes, Red, Blue, and Caustic Green. They are available in 24mm in Red, Blue, and Caustic Green. 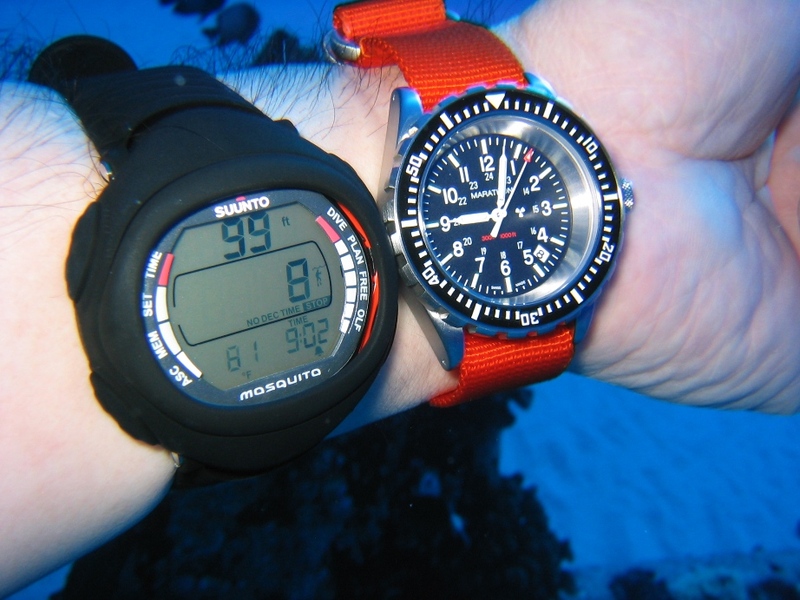 Maratac took the U.S. Government specification for watchbands, then manufactured them to beat specs. These new bands are better and stronger than U.S. Military Spec # Mil-S-46383. 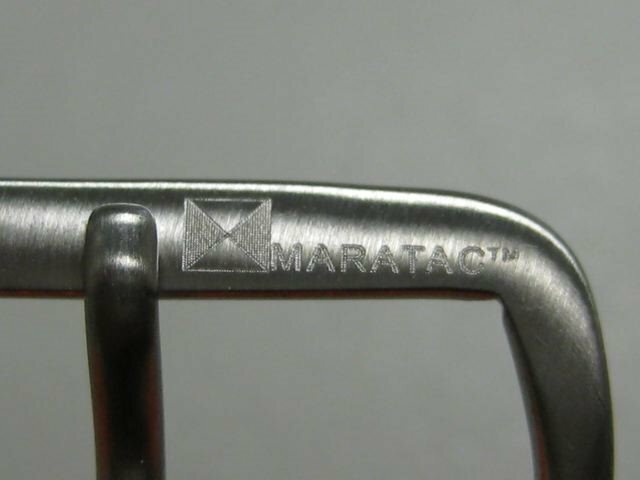 Maratac used their ultrasonic drilling process to cut perfect holes that eliminate any rough spots found in inferior straps. These new Maratac Mil Series bands feature non magnetic stainless steel buckles that have been coated with Mil Spec black phosphate to eliminate possible reflection and to provide a better aesthetic appearance. How could it get better? Maratac added more colors and a larger selection of sizes than previously available through military supply outlets. 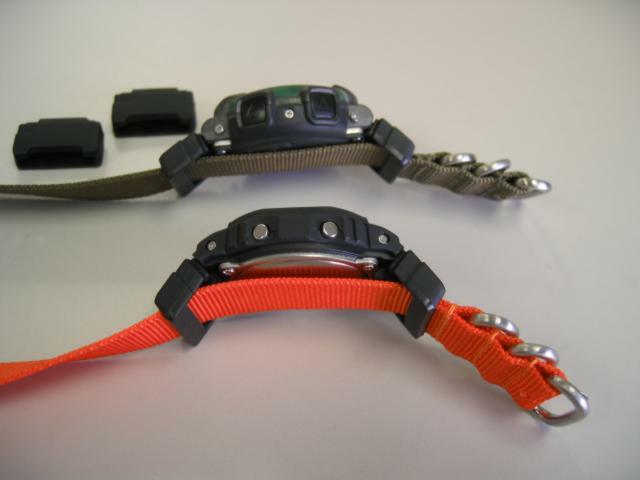 The 20mm Mil Series is an ideal replacement for issue straps on the Navigator and Adanac models. They measure 20mm wide by 10 inches long. Metal furnishings are black phosphate coated non-magnetic stainless steel. Available in black, olive drab, desert SAND, and ACU gray. 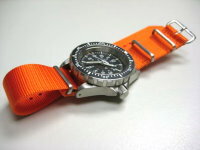 Note: On the Orange and Maroon straps, the furnishings are brushed stainless. The 22mm Mil Series is an ideal replacement for issue straps on the Stocker and Yale P650 and other 22mm military issue models. They measure 22mm wide by 10 inches long. Metal furnishings are black phosphate coated non-magnetic stainless steel. Available in black, olive drab, desert SAND, and ACU gray. Note: On the Orange and Maroon straps, the furnishings are brushed stainless. 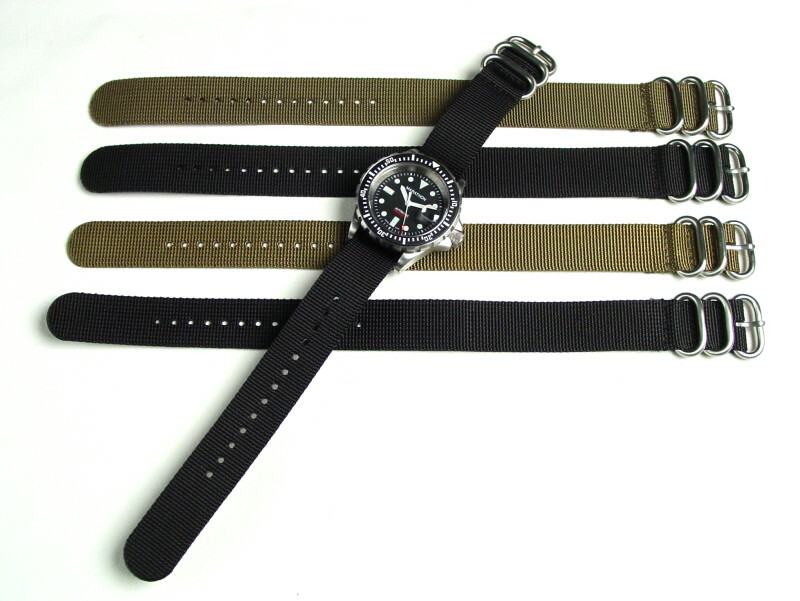 The 16mm Mil Series is an ideal replacement for issue straps on the General Purpose and GSA Maraglo models. They measure 16mm wide by 9.75 inches long. Metal furnishings are black phosphate coated non-magnetic stainless steel. Available in black, olive drab, desert SAND, and ACU gray. The 18mm Mil Series is an ideal replacement for issue straps on the Stocker and Yale 590, 490 models, as well as other watches requiring 18mm military style straps. They measure 18mm wide by 9.75 inches long. Metal furnishings are black phosphate coated non-magnetic stainless steel. Available in black, olive drab, desert SAND, and ACU gray. Maratac took the U.K. MOD specification for watchbands, then manufactured them to exceed specs. These new bands are softer and stronger than U.K. MOD Spec. Maratac used their ultrasonic drilling process to cut perfect holes that eliminate any rough spots found in inferior straps. 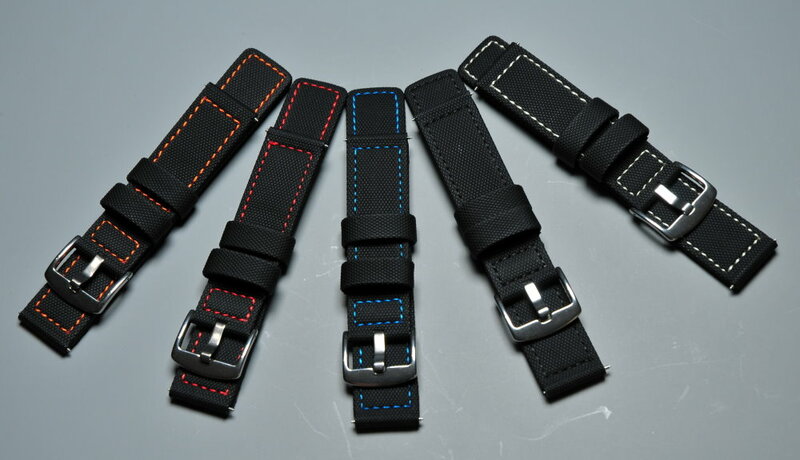 These new Maratac Mil Series NATO bands feature signed non magnetic stainless steel buckles, not plated base metal like the original MOD straps. Instead of simply welding the seams like the MOD spec, these are welded and stitched. How could it get better? Maratac added more colors and a larger selection of sizes than previously available through military supply outlets. This is the original UK MOD specification size. 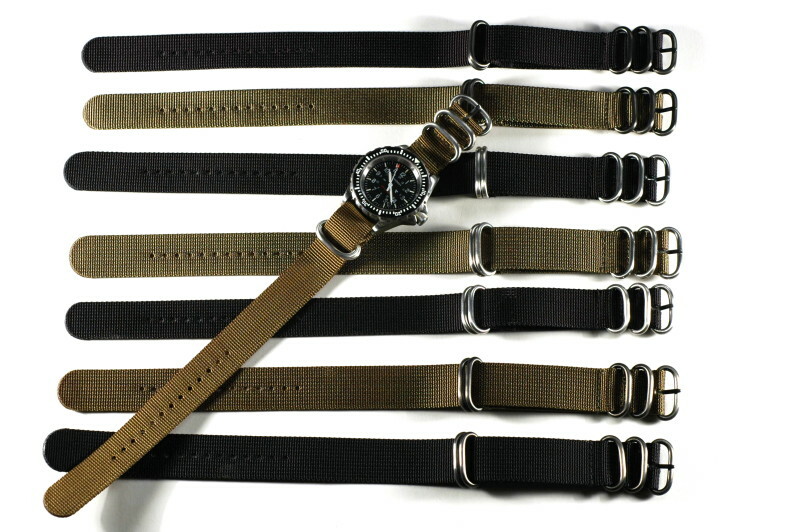 The 18mm NATO is an ideal replacement for issue straps for UK and US military watches, including CWC and Marathon. They measure 18mm wide by 11.5 inches long. Signed stainless steel non-magnetic furnishings that are welded and stitched to the nylon. Available in black, olive drab, desert SAND, and ACU gray. The 20mm NATO is an ideal replacement for issue straps for UK and US military watches, including CWC and Marathon. They measure 20mm wide by 11.5 inches long. Signed stainless steel non-magnetic furnishings that are welded and stitched to the nylon. Available in black, olive drab, desert SAND, and ACU gray. 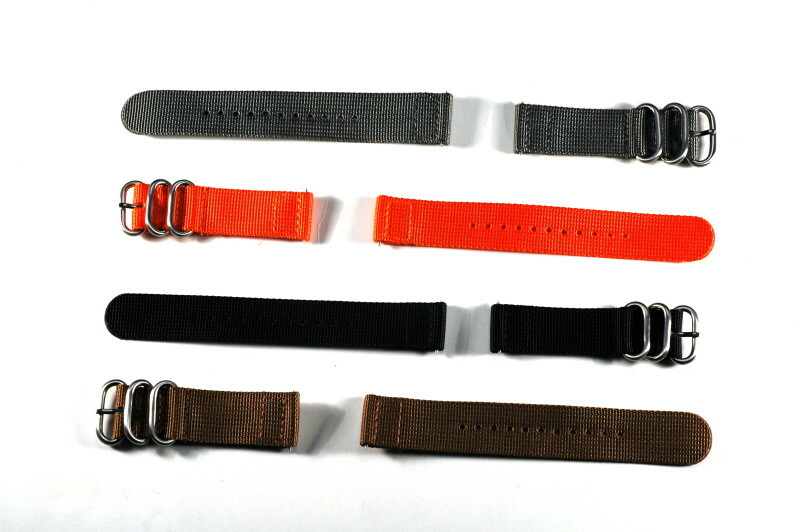 The 22mm NATO is an ideal replacement for issue straps for UK and US military watches, including CWC and Marathon. They measure 22mm wide by 11.5 inches long. Signed stainless steel non-magnetic furnishings that are welded and stitched to the nylon. Available in black, olive drab, desert SAND, and ACU gray. 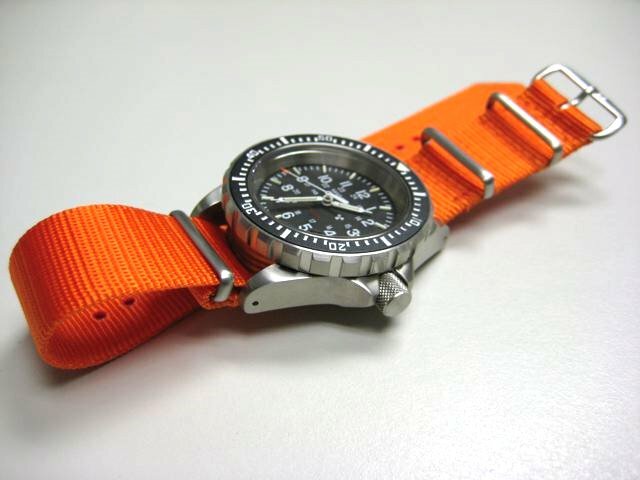 The Maratac International Orange NATO is a high visibility, specialized application strap and is an ideal replacement for issue straps for UK and US military watches, including CWC and Marathon. They measure 20mm or 22mm wide by 11.5 inches long. Signed stainless steel non-magnetic furnishings that are welded and stitched to the nylon. International Orange straps are available in 20mm and 22mm only. You'll be saying "wow" every time you use this strap. It's like leather, it's like nylon, it's like composite. A regular strap doesn't work wet. This works wet or dry. This is for the house, the car, the boat, the RV. Made by Maratac. You know Maratac always makes good stuff. Band Wow! You'll be saying "Wow!" every time. You'd be out of your mind not to own one of these. I dunno, it sells itself. The Band Wow sells for $20. Get one for the TSAR, one for the SAR, two for the JSAR and GSAR. Band Wow is not available in stores. Beware of imitators. At this price, we can't do it all day, so order now. 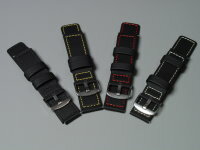 Stitched composite Watch Bands. 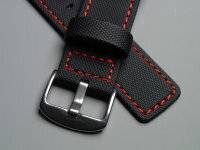 Available in 20mm, 22mm, and 24mm, with black, white, red, orange, or yellow stitching. All straps measure 24mm wide (non-tapering). 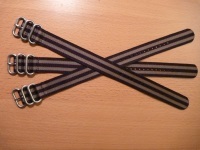 Buckle side is 24mm x 80mm. Hole side is 24mm x 135mm. 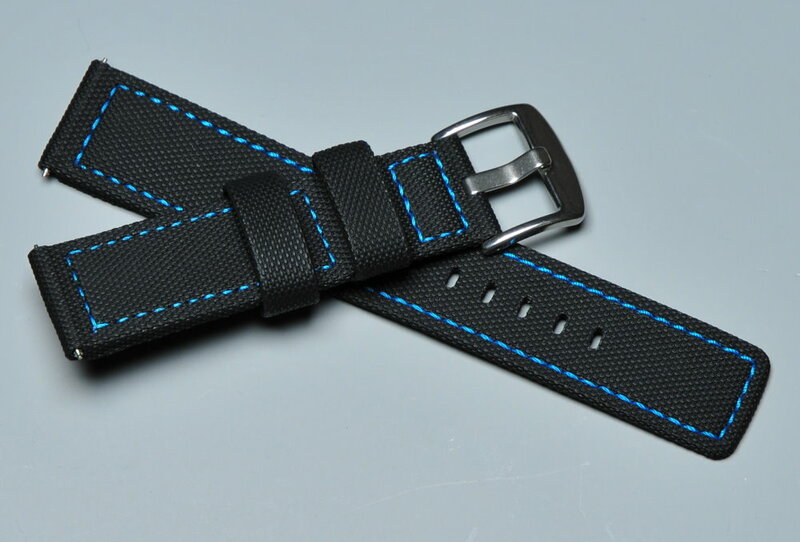 Straps are 3mm thick. Buckle is polished stainless steel. Weight 20 grams without watch. Comes with springbars. Contains no Kevlar™. 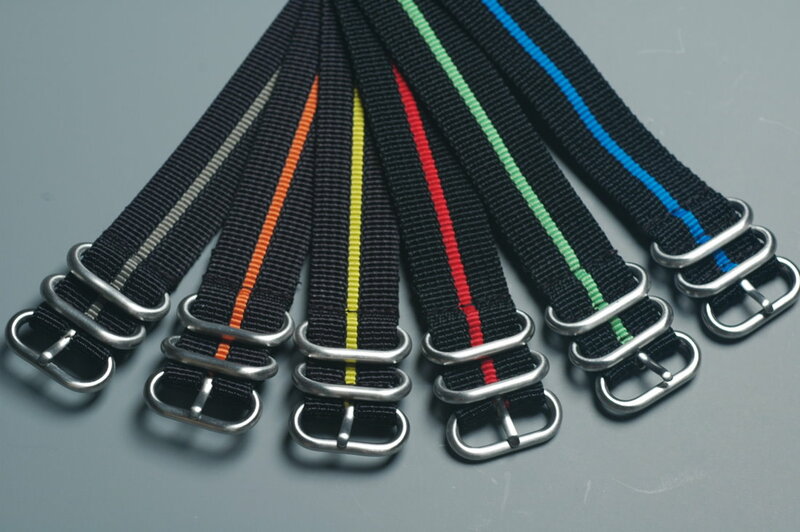 We now have Maratac Elite Composite Straps in True sizes (non-notched or tapered). The 20mm Truesize Elite measures 20mm at the buckle end and also 20mm at the springbar end. The 22mm Truesize Elite also measure 22mm at both ends. These are not straps that are notched down, but actual strap width. Terms: Paypal, and credit cards. California residents must pay 8.75% sales tax. * Plus priority shipping & insurance. Prices to USA only. Ask about international shipping rates.